Z-z-z…This could have happened in Berlin, somewhere near ruin pubs in Budapest or on one of the narrow streets of Copenhagen. But we’ve chozen Kyiv. Maidan. GLOBUS. Here you can feel the pulse of life. And this iz the spot where a mystery tour of DOGZ&BURGERZ beginz. Theze are friendz who know how to make it tasty and quick and for only EUR 1. Eat and drink here. Live - on the edge. 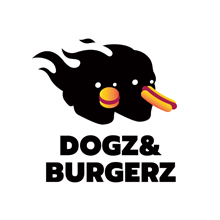 Theze are the rulez of DOGZ&BURGERZ.